It is easy for your website to become out-of-date. Web design trend changes, content and requirements grow organically which can result in a website design that is untidy, difficult to use and out of sync with your brand - all of which will affect your site’s ability to attract visitors and generate leads. Having a professionally designed website with WordPress has never been easier and affordable as now. WordPress is in use by more than 30% of the top 10 million websites as of March 2018. WordPress is popular and extremely versatile allowing you to update and manage your website easily without any coding experience. Web Creative Designs will provide a reliable, scalable, effective and attractive easy-to use WordPress website to the last detail that will enable your business to be more successful and productive. In addition to website customization, we provide you with introductory advice on how to purchase your hosting and domain name services. WordPress powers more than 28% of the web — a figure that rises every day. Everything from simple websites, to blogs, to complex portals and enterprise websites, and even applications, are built with WordPress. WordPress has grown into a complete solution for any website requirements you might have. It can be fully customized and used to create almost any type of website you could image. WordPress is is easy to setup, manage, and update. The basic interface and options of customization are moderately straightforward, as in easy-to-use. WordPress has a library of thousands of themes across every industry and niche for you to choose from, all of which have passed their rigorous quality guidelines. WordPress is super flexible and can be extended by using plugins. In addition to the wealth of features that come standard with WordPress, there are also thousands of plugins you can install to further improve its capabilities or add new functionality. More than half of all internet traffic is coming from a mobile device. Having a website that can be viewed on a host of different devices is slowly becoming a norm and WordPress is certainly not lagging behind this trend.Most of the available themes, if not all, are required to be mobile and tablet friendly. WordPress is written using standard compliance high quality code and produces semantic mark up which makes your site very attractive to search engines. WordPress is also search-engine-friendly as it allows search engine robots to easily crawl and index your website. WordPress is developed with security in mind, so it is considered quite safe and secure to run any website. In addition, security updates are released frequently to address the latest issues and concerns. However, just like the real world, the internet can be an uncertain place..
Over ten years old WordPress has been refined, tested, and enhanced allowing it to be a very stable and reliable asset. 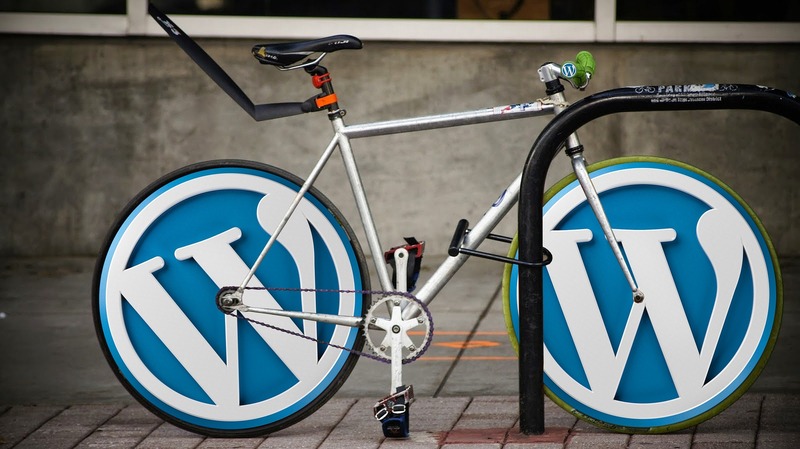 With WordPress you ultimately have complete control over your website. WordPress has very rich text editor i.e WYSIWYG. It supports easy insertion of images, video, audio in blog post. we can insert any media files in our content within a single click, users mostly engage with images, videos or audios in web pages. Default WordPress has a lot of inbuilt functionality but you can even make it more powerful with plugins. There are lots of functions that can be easily integrated with WordPress like: contact form, membership, event calendar, learning management system. Every piece of WordPress generated code is in full compliance with the standards set by the W3C. This means that your website will work in today’s browser, while maintaining forward compatibility with the next generation of browsers. Any of these packages can be tailored to your needs. Essential plan is a 3 pages website aims to provide the right amount of information that an user needs to know about the product or service you are offering. Company Website is a brochure style website that explain what the company is about and what services are offered. Suitable for a starter business, individuals, home businesses, independent contractors, and just anybody to need offer a product or service. If you need a website with a specific advanced functionality like membership site, online training site (LMS - Learning Management System) or event scheduling. Contact us with your specific requirements and we will provide you a solution for your need. If you need sell your services or products online we can help. We can create a site simple to use, secure and easy to shop and purchase products from. These are some features that our WordPress websites plans offer you. There are a huge and growing number of WordPress themes and third party plugins. WordPress Websites can be maintained by yourself or we will do maintenance for you at an affordable rate. Full Standards Compliance: This means that your website will work in today’s browser, while maintaining forward compatibility with the next generation of browsers.